LG will launch its slimmest UHD LCD TV yet this week at the Consumer Electronics Show in Las Vegas (January 6-9). But the new premium “LG Super HD” displays will still be marginally thicker than Sony’s breathtakingly svelte X90C range: 6.6mm vs 4.9mm. Despite the thin profile, LG claims the harman/kardon speaker system will still deliver high-quality audio, with LG’s new “Magic Sound Tuning” function customising the sound to a room’s specific conditions. The “Flat ULTRA Slim” line will be offered in four series, with screen sizes starting from 49 inches and topping out at 86. According to LG’s press release, “The top-of-the-line UH9500, UH8500 and UH7700 LG SUPER UHD series boasts an advanced IPS display with innovations such as True Black Panel and Contrast Maximiser for advanced picture quality at wide viewing angles. LG says its “HDR Plus”-designated displays combine ULTRA Luminance technology to boost peak brightness, improved black level performance and Color Prime technology to heighten HDR performance compared to sets that are only HDR compatible. There’s also an SDR-to-HDR conversation engine for viewing near-HDR content from standard sources. LG’s Color Prime Plus will distinguish the UF9500 and UF8500 series by expanding the palette of colours that can be displayed. LG says it uses a new, thicker colour filter and new LCD phosphors to achieve about 90% of the Digital Cinema Initiative (DCI) colour space. 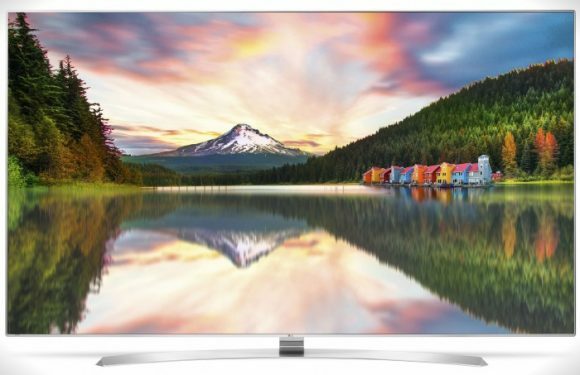 “Another innovation, Billion Rich Colors, gives the LG SUPER UHD models the ability to render over one billion possible colour variations for an even greater sense of realism,” the press release says. The 2016 UHD TV line-up also comes with the newest generation of LG’s Smart TV platform, webOS 3.0. No word on pricing yet, or if all four series will go on sale in NZ, but expect them to start shipping in the second quarter. At CES, LG will also unveil its first production-ready 98-inch 8K SUPER UHD TV (model UH9800).